Lighting up Santa's Sleigh? Planning a Valentine's Day Party? 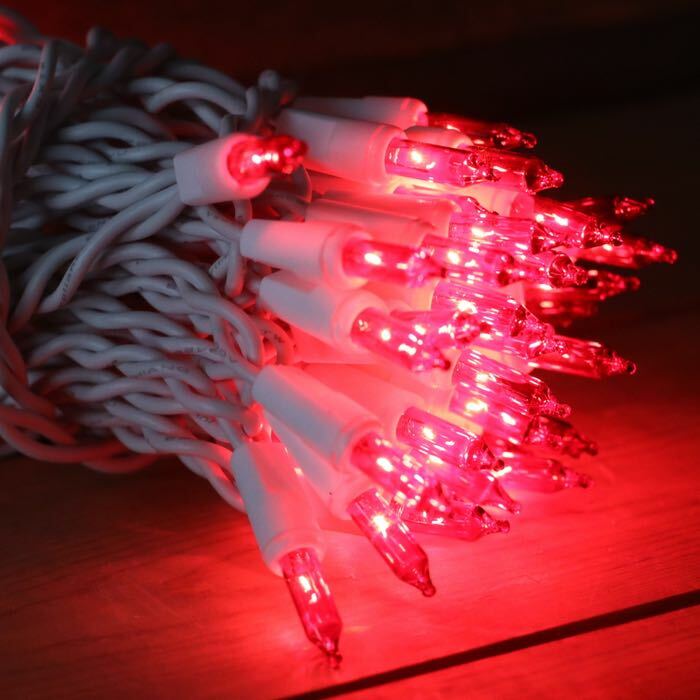 These lights strings are approximately 21 feet long and their bulbs are spaced 2.5 inches apart making them perfect for applications where you want the maximum number of bulbs to wire. Green wiring makes these strands great for wrapping trees and using for after dark parties and adding sparkle to your garden. Our customers are also using these lights in concert with blue and white for their 4th of July and Patriotic Holidays. How many can I run in series? You can run up to 5 sets of these lights in series. To run more sets in a single project use another extension cord or splitter. Bought these lights for our tree. They came quick and were easy to install. Would order again. 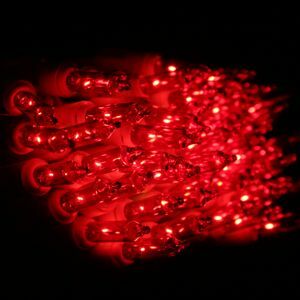 Q: What is the average amount of hours these bulbs will last? 2,500-3000? A: Yes, under normal circumstances that's the average expected lifespan. Environment and application and affect the life of your lights. A few years ago, we had a floral store plug in a few sets of lights 24/7 and they called right at the 3000 hour mark to comment that their lights were going out so that was a pretty good test. In high heat or extreme conditions, the breakdown of wiring can shorten the lifespan.